Parth Raghav has spent about an year and half work on his projects and has been presenting them in various national and international science fairs. 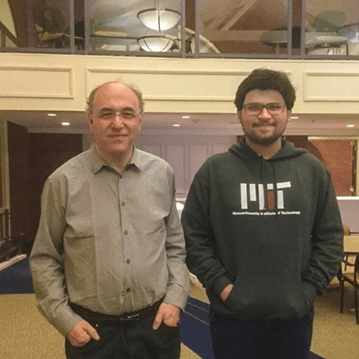 Recently, he was invited by Wolfram Research to Bentley University in Boston for three weeks to conduct individual research concerning machine learning and Artificial Intelligence with a special type of modified MPN convolutional networks in partnership. He was awarded 100% scholarship for the same. He worked on his project closely with eminent scientists like Stephen Wolfram, and Daniel Bullock. He was a visiting researcher at Massachusetts Institute of Technology (MIT) to complete his work to detect pancreatic cancer in its early stages. In fact, he interned at the Broad Institute as a student researcher for his project “Early Diagnosis of Non Small Cell Carcinoma using PNN monitoring genomic interactions”. Now, he has been invited by the Union of Bulgarian Mathematicians to the RSI, MIT franchise in Bulgaria with 30% scholarship and is an active student research collaborator with PhD students at Indiana University, USA.